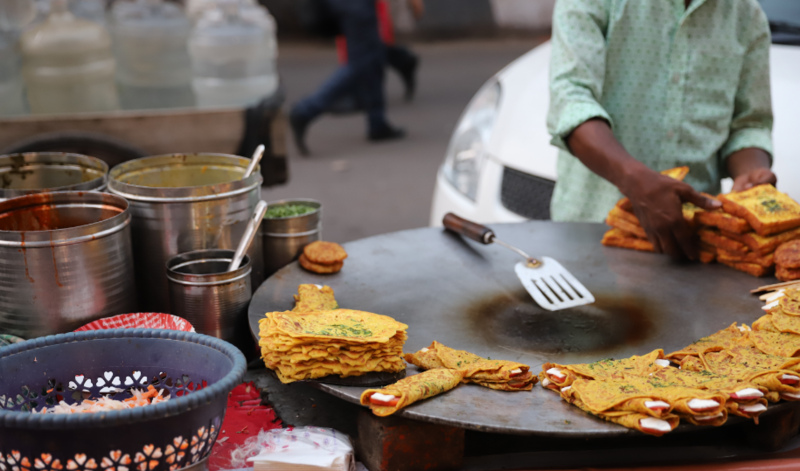 Spicy, sweet, salty, Indian and Indianised, street food culture in Delhi is as varied as the people who live here and tempting enough to cater to the wide range of taste buds. In a local market, a man is prepping his kiosk as the sun gets ready to go down. As soon as evening descends, he is expecting a crowd of shoppers, shop owners, strollers, locals, to gather around his small, food stall. 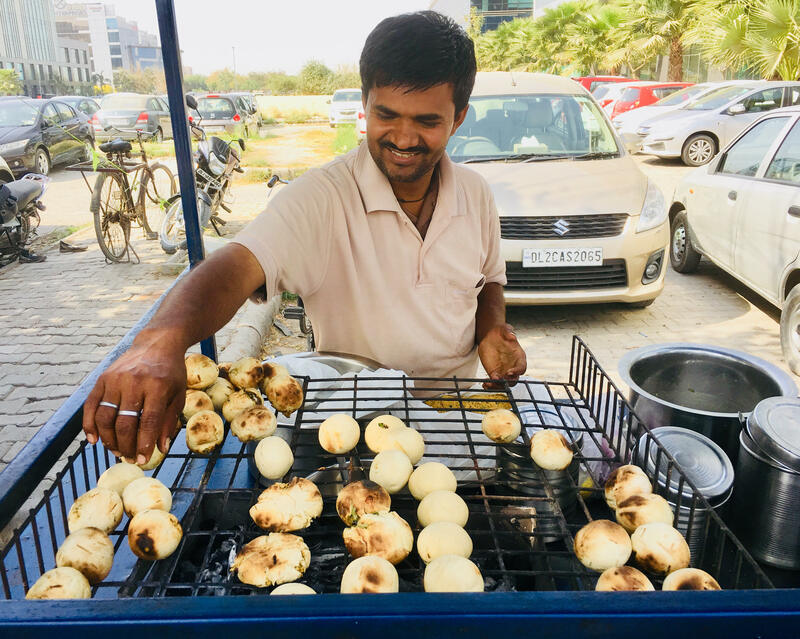 After an entire day’s work, these people will be looking forward to indulge in their favourite street food, and he must get things well-organised in time to be able to serve about a hundred plates by himself! Street food kiosks in the Indian capital, New Delhi or for that matter around the country are manned by a single person in many instances. Some stalls may have more people lending hands to each other and feeding the people, but they are never enough to be dealing with the huge crowd. Although what they are stocked with, is their job expertise, which lets them run mornings and evenings. The manner in which any vendor prepares a dish might marvel a foreigner. A quick toast, a rapid roast, fine chopping, savoury sprinklings and voila, you’ll have your dish ready in a few minutes. From north Indian favourites like aaloo tikki (potato patty), golgappas (flavoured water-bowls), dahi-bhallas (sweet curd poured over a fried snack), chole bhaturas (chickpeas with fried bread), to popular snack items from across the country, one can find an interesting mix of pan Indian food on the streets of Delhi. “I am fascinated by the culture of street food in Delhi. We do not find chole bhaturas or momos at street side in Mumbai. 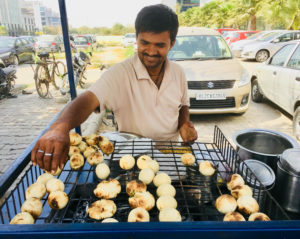 Aaloo tikki is one of favourite dishes, and I find street- snacks to be better in Delhi,” says Komal Upadhayay, a resident of Mumbai (city in west India). A man opens the lid of an aluminium container and the steam from it rises above, cutting through the air. Aroma of fresh dumplings spreads instantly. Sound from the electric mixing of coffee and milk is hushing the noise from the chattering of the people waiting for food. This food-joint is packed. In another one right next to it, a man standing under a tarpaulin is tossing noodles in wok, which is a enjoyable sight for many alongside coffees and milkshakes. Other than the local Indian snacks, momos or dumplings and Indianised versions of Chinese food can be found easily on the streets of Delhi. Popular among young Indians, kiosks of these items are more common around school and college campuses, but also near all metro stations in the capital, where tourists can get their hands on them easily, and for a price light on the pocket. At some places, inexpensive and Indianised versions of pizzas and burgers are also available, again catering mostly to a young crowd as the elders still prefer heading to the streets of Old Delhi. All the old is gold here and still in all its glory. Old Delhi, known for its many wholesale markets, is also popular for its street food and food shops that are a century old. In the middle of its many congested lanes are treasure troves for lovers of food. Hundreds of shops selling authentic vegetarian and non-vegetarian dishes make Old Delhi the street food capital of India. Shakargandi (sweet potato), samosas (stuffed fried snacks), paranthans (various breads), chicken and mutton seekh (skewers), kulfi (sweet dish), Old Delhi offers food in the most authentic way. 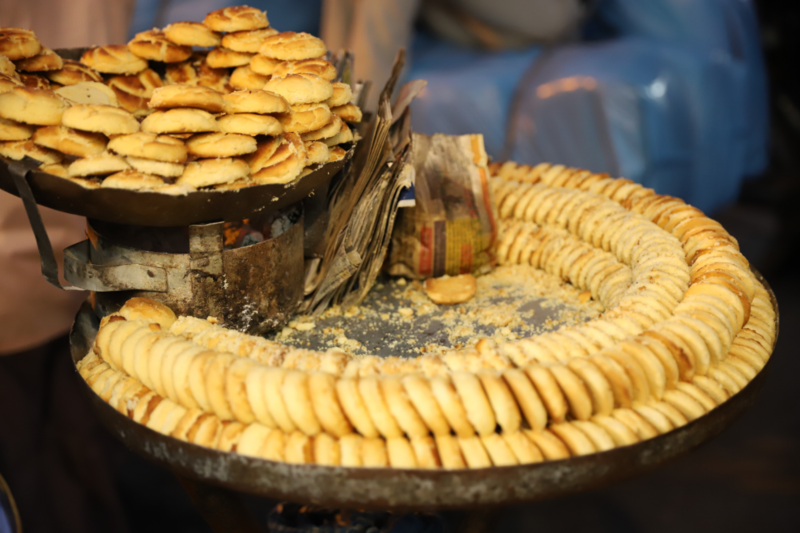 “With a minimum budget, one can enjoy a great deal of savouries on the streets of Old Delhi. From Punjabi choley kulche to south Indian dosa, there is a very good range of options. The non-vegetarian food is equally amazing,” says Ahmad Mukhtiyar, a journalist from New Delhi. “In Kashmir, for say, where I come from, the food available is authentic but limited. The kind of variety available in Delhi is thus fascinating,” he adds. At joints such as Natraj Dahi Bhalla, Khemchand Adesh Kumar’s Daulat ki Chaat, Lotan Chole Wala, Karim’s, Hazari Lal Jain Khurchan Wale, one only gets started. For those who are keen on exploring more systematically so that they don’t miss the best, food walks are often conducted by food enthusiasts, bloggers, and other companies that can be contacted online. One of the best things about India is its strong food culture. People love Indian food culture because there is variety in Indian food. Thanks for sharing your experience. Love your content. Hello! I am glad you enjoyed reading it. 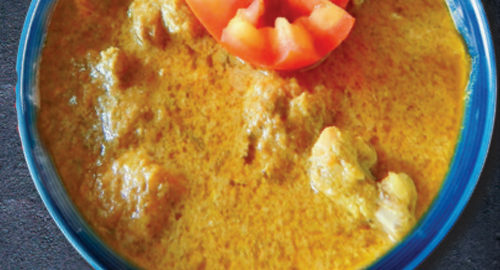 You can read more about Indian cuisine in our magazine India&You as well.